In lieu of flowers memorial donations may be made to the Alzheimer's Association and left at the funeral home. 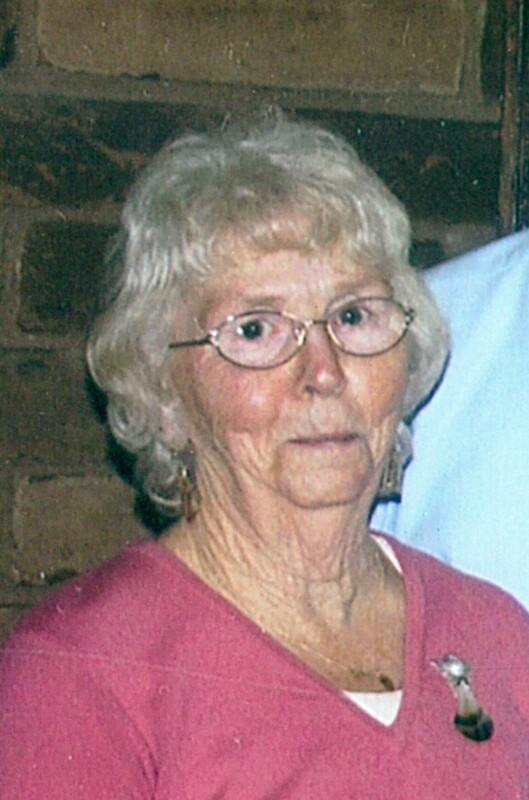 Lucy Mae Hughey Hamrick, age 80, of El Dorado Springs, MO, passed away Sunday, May 17, 2019. Lucy was born September 28, 1938, in Lamont, CA, the daughter of Albert and Dorothy Harris. Lucy attended school in Lamont, CA, and graduated from the 8th grade. Lucy married George Hamrick on September 9, 1955. They were married until his passing on July 4, 1988. They had six children, with one son passing at the age of 6 months. Lucy and George lived in Alaska and Oregon until moving to Humansville, MO, in 1980, where they bought a small farm. Lucy enjoyed raising their children and working beside George at their businesses of gas stations. Preceding Lucy in death were her husband, George; her parents; one brother; and an infant son. Survivors include her five children: George Hamrick, Jr. and wife, Connie, of El Dorado Springs, MO; Charlotte Stafford of Stockton, MO; Dorothy Hamrick of Nevada, MO; Doug Hamrick and wife, Michelle, of Anchorage, AK; and Linda Carnes and husband, Glen, of Mrytle Creek, OR; ten grandchildren; and many great and great-great grandchildren. Funeral services for Lucy Hughey Hamrick will be held on Tuesday, March 26, 2019, at 2:00 p.m. at Bland-Hackleman Chapel. Burial will follow in Hickory Grove Cemetery under the direction of Bland-Hackleman Funeral Home. The family will receive friends on Monday, March 25, 2019, from 6:00 till 7:00 p.m. at the funeral home.